Wahgunyah-based Ray Tyrrell did a tour of duty in Vietnam as a national serviceman in 1968/69, serving with 110 Sig Sqn. 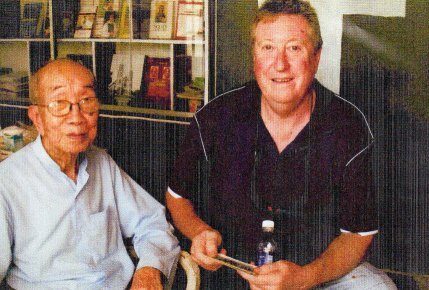 He like many other Aussies there took a humanitarian interest in the people and tried to help where he could. 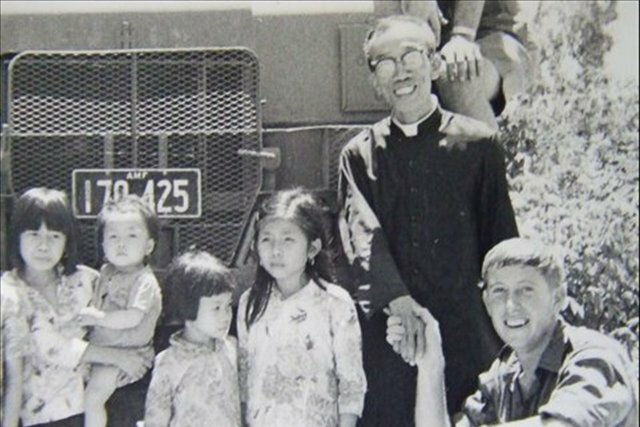 Not far from where he was stationed, in Vung Tau, was a Church with an orphanage. Excess food or supplies from the Australian's Army Signal Unit was donated to the orphanage. Ray often wondered what happened to the orphans. His curiosity saw him and two mates go back to Vietnam last month armed with some black and white photos. 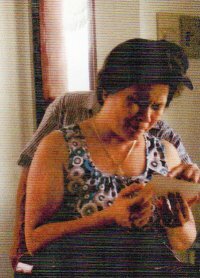 In a country of nearly 90 million people, Ray was able to track down two of the people in his photos taken 44 years ago. He met up with the priest, who is now 94-years-old, and a woman, who is now 48, but only four years-old when the images were taken. Ray’s photo was the only one the Vietnamese Lady has ever seen of herself as a girl. Sadly, the old Priest passed away 3 weeks after Ray’s visit. Photo 1 - The old Priest and Ray looking at the photos.